Carrowkeel, An Ċeaṫrú Ċaol , Gaelige for 'the Narrow Quarter', is a Neolithic passage tomb cemetery in the south of County Sligo, near Boyle, County Roscommon. 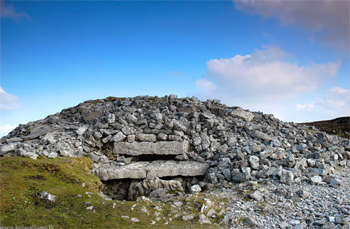 There are fourteen passage tombs in Carrowkeel and Cairn 'G' incorporates a roofbox, an opening over the entrance which admits a beam of light from the sun at sunset at the midsummer solstice and illuminates the interior of the tomb. The only other example of a roofbox currently known in Ireland is at Newgrange. 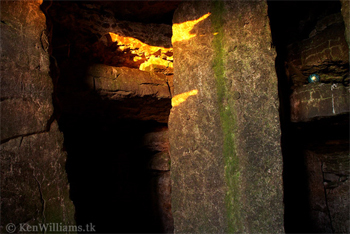 The Carrowkeel Megalithic Cemetery is located in south County Sligo, Ireland about 10 miles north of Boyle off the N4. From the village of Castlebaldwin, head west on a minor road into the Bricklieve mountains, following the signs for Carrowkeel Passage Tombs.